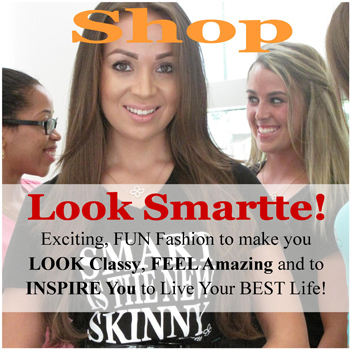 Smartte is a LifeStyle Company that provides Positive Role Models for women and proves success is more than what you see. Our foundation is grounded by a new standard of success for women that now includes: having a great education, being healthy ( not just skinny ), having strong values, contributing to our communities and being a positive role model for yourself and others. Role Model: noun – something worthy of imitation; something or someone that motives you to change your behavior. Examples include: people, products, events, experiences, etc. We offer a diverse Positive Role Model mix of products and services including: On-Line Television Programming, Live Events, the Smartte Role Model Database and the Smartte Team. In addition, we have an exciting, eclectic mix of products, that we call Smartte Gifts, in our Shop Smartte Boutique, where every item will help you Live Your BEST Life in some way! 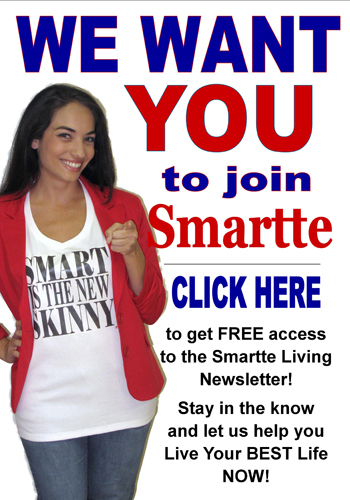 Our Smartte Gifts will help motivate you, inspire creativity, as well as cultivate a strong body image. Our Gifts will make you smile, help you give confidence to a friend, constantly remind you that success is your choice and that we are here to help you live an extraordinary life! 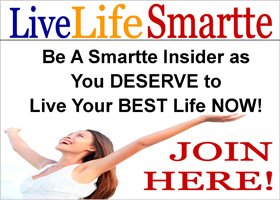 The combination of our Positive Role Models will guide you to an Amazing Life and help you Live Life Smartte! Smartte is for a young, confident woman that is passionate about Living Her BEST Life, making a difference in her community and becoming the BEST of Tomorrow’s Leaders TODAY! She is someone that is committed to a “Healthy” body image and regards fitness as a priority. She is among today’s elite leaders and knows that a great education is a key to success. She is focused on her passions, fun loving, optimistic, adventurous and fashion forward. She IS an amazing Positive Role Model for those around her, she is SMARTTE! 1. Provide outstanding role models for women of all ages. 2. Add a new standard of success that now includes a great education, a healthy body, strong values and contributions to your community. 3. To improve the overall education level of young women in the United States by inspiring success through education. Why do we NEED Smartte? How many adult women that you know look in the mirror daily and worry about “looking young enough” and “being skinny”? Before we go any further, the question also must be asked about how many boys and men have these same thoughts? Our society reinforces these messages for women through our media, social role models and products. From television to magazines to our retail outlets, everything tells us as women that success is a function of our appearance and being famous. In contrast, the product / image market for boys is drastically different. For example, in general, professional sports provides positive role models that support physical activity, overall health, community service and going to college! What product line does this for women? Yes, there are some players that don’t epitomize what we want for our sons but, the overall image of a professional athlete promotes a healthy regime of exercise, community service, discipline, community contribution and the notion that you have to go to college to be successful! As a result, 9 out of 10 boys in elementary school can name 10 colleges. When surveyed, only 1 out of 25 elementary age girls could name at least 3 colleges. But, these same girls all knew the names of the top movie stars, singers and clothing lines. As you can see, there is a huge void for women. Where are the products and images that motivate us to be our “healthy” best, to have strong values and motivate us to go to college by showing us successful, healthy women that compile these attributes? Welcome Home – Welcome to Smartte! If you could change anything about our society, what would it be?